We're BIG fans of the beautiful game over here at *u[c]t. So when former Arsenal FC San Diego approached us to redevelop their brand, we jumped at the chance. 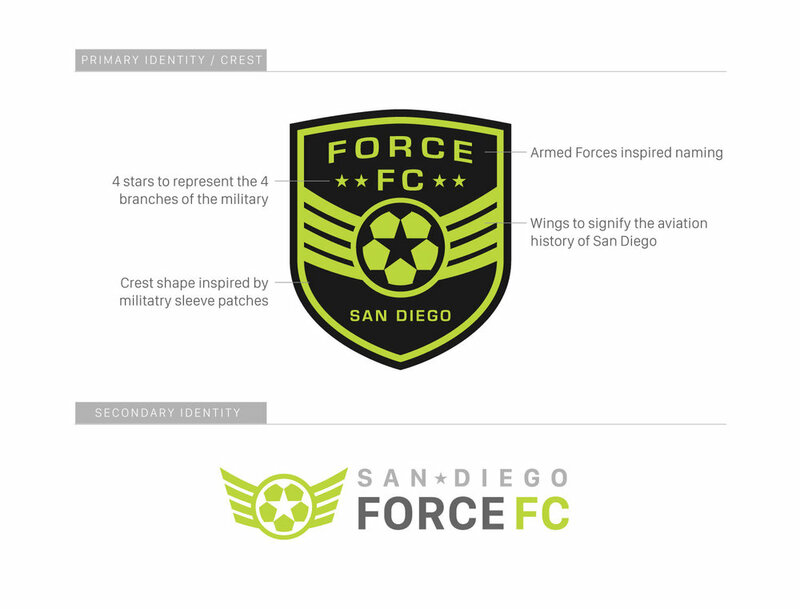 San Diego has a thriving soccer culture and we wanted to build something not only timeless and forward thinking, but something that paid homage to San Diego's rich military heritage. Force's brand identity was born from a collective of ideas that balances the intensity of competition with the pure love of the game. The club needed to up their game in the web-a-sphere so we created an entirely new set of responsive web assets. It was important for players, parents and coaches to access key information like practice schedules, game times and even be able to order training gear and kits. We partnered with Battle@Sea Productions to concept, develop and produce a high-end promotional video to highlight the clubs launch. With an emphasis on skills, player development and of course fun, we created a piece that truly showcases the clubs intentions to build a next level soccer brand in San Diego and beyond.